I'm standing at what seems like a good vantage point, surrounded by a few people who, along with me, have their eyes peeled in anticipation. It's so quiet that you can hear the sounds that wildlife, hidden away in the flora, are making. But then the peace is shattered and we hear a car approaching. As it gets louder, heartbeats begin to go faster and the air really is thick with excitement. 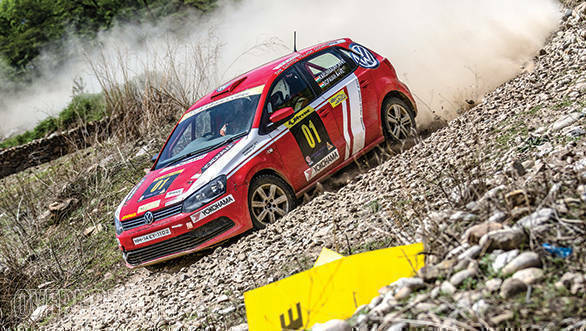 Then we see the bright red Volkswagen Polo of KM Bopaiah (co-driven by Gagan Karumbaiah) approaching us, going sideways around the corner. The roar of the engine fills our ears, and in the blink of an eye, the car streaks by leaving a cloud of dust behind. As the sound of the exhaust ricochets off the mountainside, we watch the car disappear into the distance. In its wake stand a bunch of awestruck people. Some have even broken into involuntary smiles. Rallying, I assure you, has been etched into the collective mind of the local populace forever. 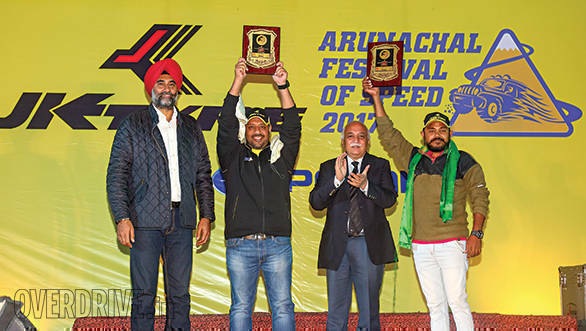 The 2017 Arunachal Festival of Speed was held in the picturesque Dirang Valley, and in its fourth consecutive year running, the event has grown by leaps and bounds. 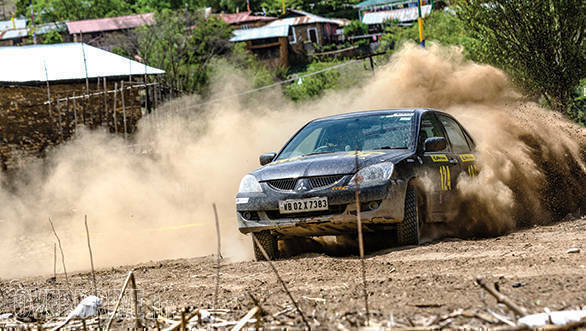 The number of participants has risen, and besides drivers from the North East, there are a few national-level rally drivers who've made it from the other corners of the country. Around me, everything seems to be running with clockwork precision. The organisers have pulled out all stops to ensure the event runs smoothly. But as they say, the picture may be perfect, but it's what goes on behind the scenes that tells the real tale. After all, conducting a rally in a place this remote is a feat in itself. Dirang is either accessible by road - a 10- to 12-hour drive from Guwahati will get you there - or by helicopter. However, since the availability of the helicopter is subject to the weather conditions, things can get rather tricky. Which means logistics is a major challenge. The roads leading up to the tiny hamlet are also narrow, so large container trucks carrying the rally cars and race machines cannot make it all the way. 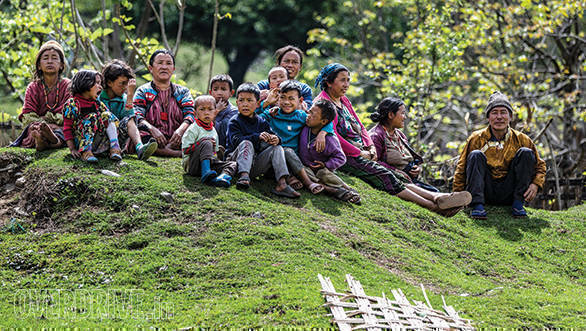 "We had to unload the cars in Tezpur and then drive it up to Dirang. It is a rally in itself!" said KM Bopaiah about the challenges he faced just to take part in the event. Then there's the cost of transport too. 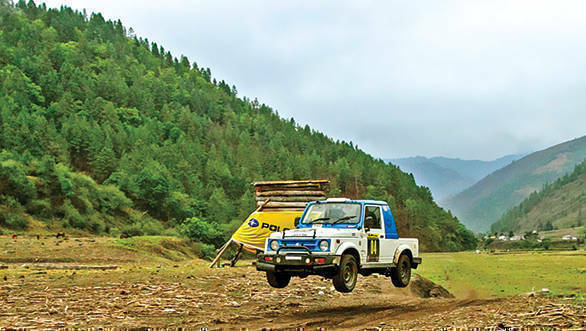 Bopaiah, along with a couple of other rally drivers, arranged for a container truck to transport their cars, spares and other important bits from Bangalore to Tezpur and back. "The total cost is Rs 8 lakh but we are sharing the expense, and hence it's feasible for us," he says. And that excludes the other expenses of preparing the car, and the cost of transport that the drivers incur themselves. Bopaiah and Gagan are INRC regulars, and have been rallying for close to three years now. This was the first time that Bopaiah had visited the North East though, let alone participated in a rally in the region. "It's a beautiful place," he tells me at the end of the final stage that was held in the Sangti Valley. "The terrain is different and quite challenging. I enjoyed every bit of it. In fact, they can hold an INRC stage here," he remarks. That sentiment is also resonated by the 2017 JK Tyre Arunachal Festival of Speed champion, Amanpreet Ahluwalia (co-driven by Ajay Kumar). "The stages were pretty good. It was challenging and we had some really good drivers here. It was an honour to compete with them," he said. There were other drivers who said that the level of competition was at par with other rallies around the country. This included experienced drivers like Sandeep Sharma, who was in his element, with the exception of a few niggling issues with his Gypsy. And this display of skilful and on-the-limit driving had a positive impact on the local drivers that were competing in the rally. After all, it is exposure to skilled drivers and driving that will help them get better, and the interactions with top rally drivers gives them access to information and knowledge that's not readily available in this part of the country. 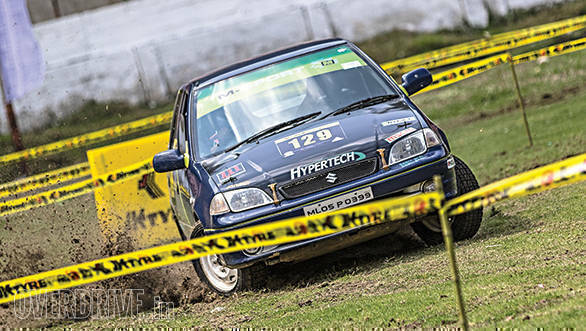 Local driver Jitu Kalita has been a regular at various rallies in the North East and has steadily improved his machinery and skill over the years. He credits this to the Arunachal Festival of Speed. Watching him compete in the stages, as well as the Super Special Stage at the Lopon Stadium in Dirang, one could see that his technique behind the wheel is right up there with the big boys. 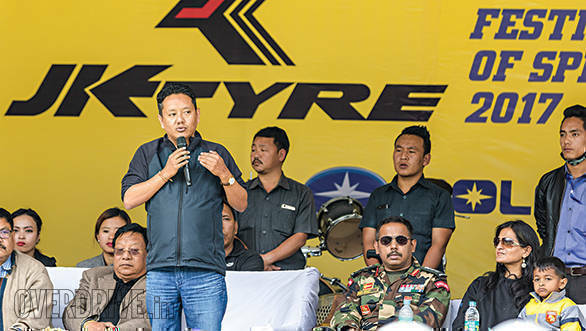 "That's what the ultimate aim is," said Lhakpa Tsering, a founding member of the Motorsports Club of Arunachal and the brainchild behind the JK Tyre Arunachal Festival of Speed. 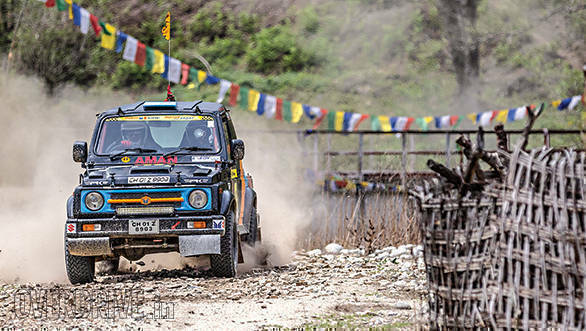 Lhakpa, who is also the winner of the 2015 Raid de Himalaya, has been at the forefront of developing motorsport in the region for quite some time now. Speaking to him, you can't help but notice how driven he is, and how committed he is to improving motorsport in that neck of the woods. During the three days that the rally was held, he barely got any sleep, but not once did anyone hear him complain. One gets the feeling that Lhakpa's efforts have paid off. It seems like motorsport really is on the upswing in this part of the country. 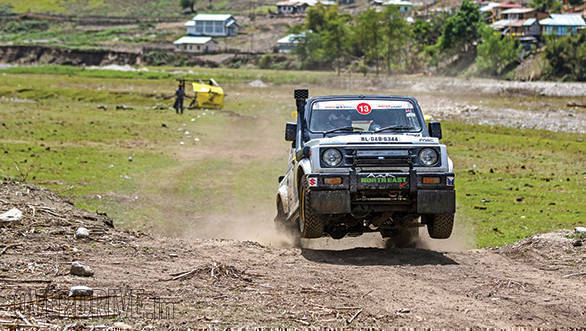 From the packed Lopon Stadium to the crowd at the stages, the locals were truly mesmerised by the sights and sounds of rally cars zooming by. "The crowd support here is amazing and encouraging at the same time. I've been to rallies where villagers have raised objections, but that's not the case here," Bopaiah said after witnessing the crowds cheering the drivers. The success, however, would not be possible without support from the government. 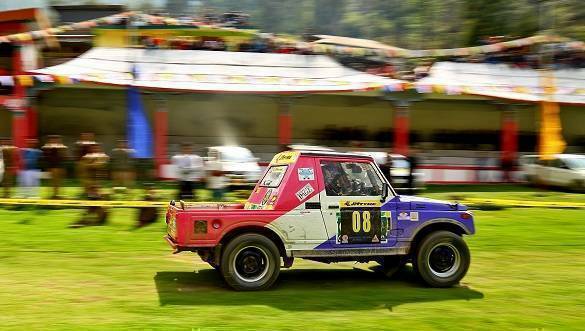 The Tourism Department of Arunachal Pradesh was also one of the sponsors of the Arunachal Festival of Speed. It goes to show how government support goes a long way in helping one organise and run a motorsport event in the country. Maybe governments in other states should be listening right about now. 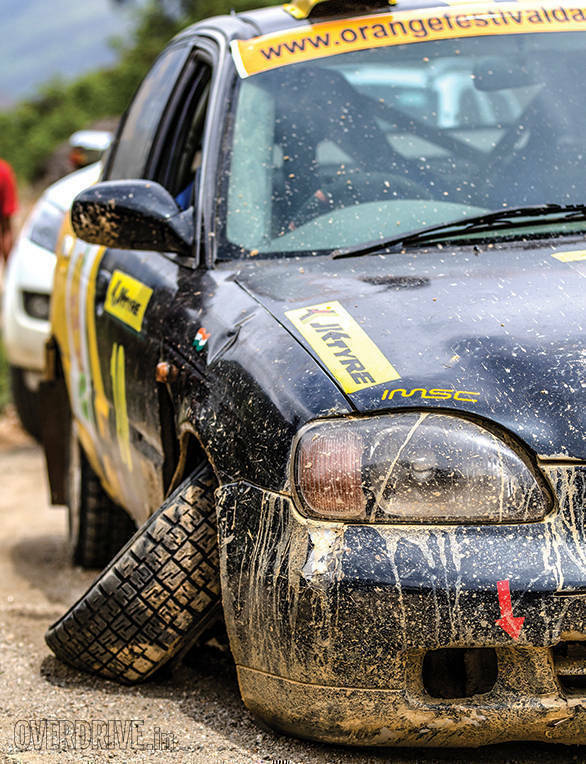 For years, motorsport has been looked down upon in India as an elitist sport. Yes, it is expensive, and sponsorship is hard to come by. "If manufacturers participated in the sport, it would be of great help to people like us," Amanpreet said about the issue that everyone is familiar with. 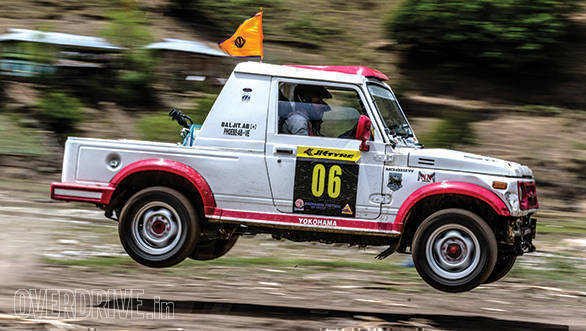 The fate of motorsport in India, in general, may look bleak, but events such as the JK Tyre Arunachal Festival of Speed shine like a beacon. The love for motorsport is immense in this part of the country. People are willing to make the sacrifices that motorsport demands. The local drivers are brimming with talent. And there is no dearth of enthusiasm. I could see it in eyes of those who had gathered around the rally cars towards the end - motorsport will live on in the hearts of these people, forever.